Reedsburg ArtsLink is a local arts non-profit working to build community using the arts as a platform. We're run by volunteers, and supported by people who believe in the power of creativity to develop thriving communities--people like you! We appreciate your support! Donations in any amount are greatly appreciated. We are a 501(c)(3) organization so your donation is tax deductible to the extent permitted by law. 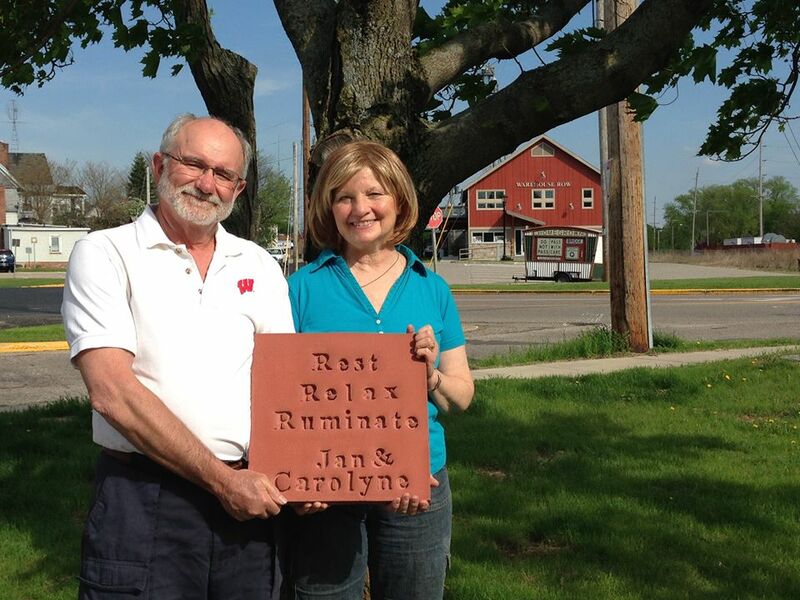 Donors Jan and Carolyne Aslaksen with the commemorative plaque that was placed by a tree they sponsored for Reedsburg's Harvest Park.